I was looking through my film archive and decided to post an image from years back that I still really like. 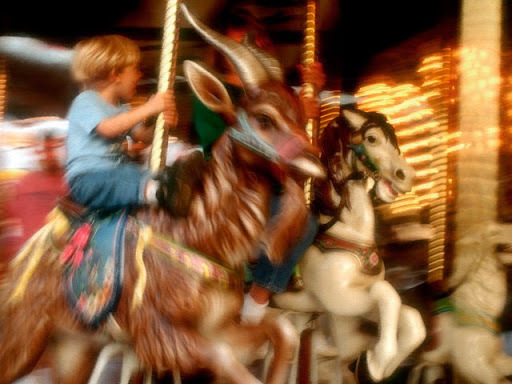 Shot on film at a slow shutter speed with no real post-processing, the image is of my son on a carousel in Raleigh. really sort of sums up misty memories of childhood doesn’t it?